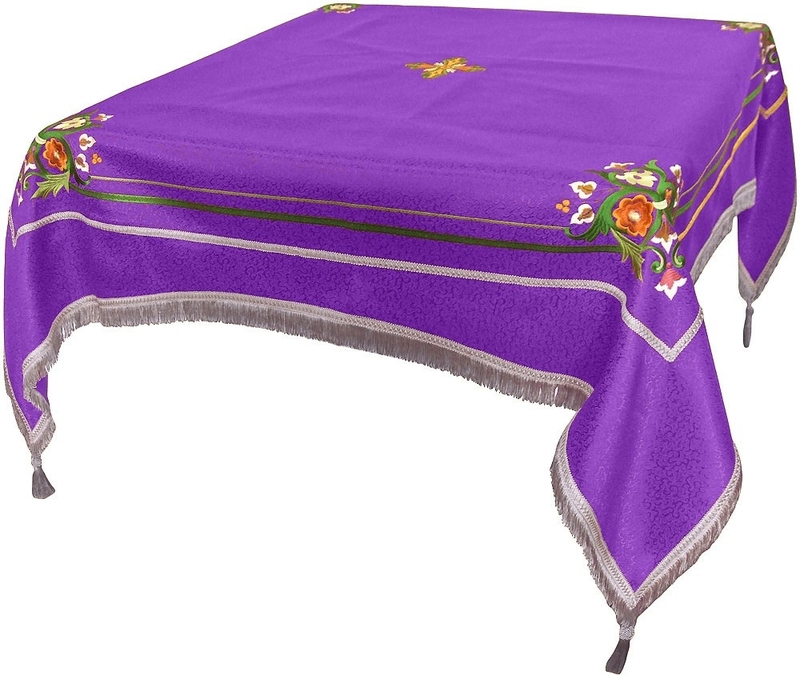 Liturgical Holy table covers (violet-silver) by Istok Church Supplies Corp. The Great Lent and Dormition Fast are important events in the Orthodox Christian liturgical calendar. 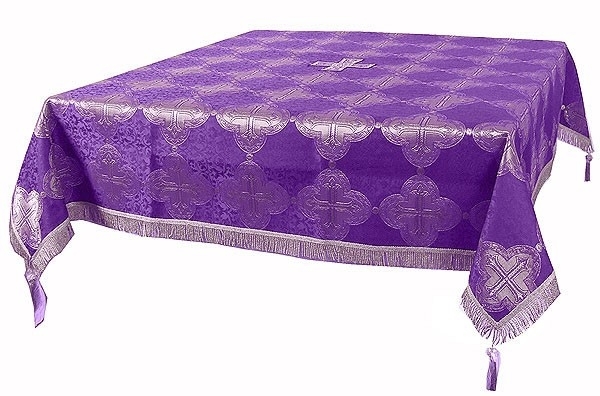 For conducting significant church services during these two periods, Istok Church Supplies offers a fine selection of violet-silver Holy Tables colors in rich ecclesiastical fabrics. 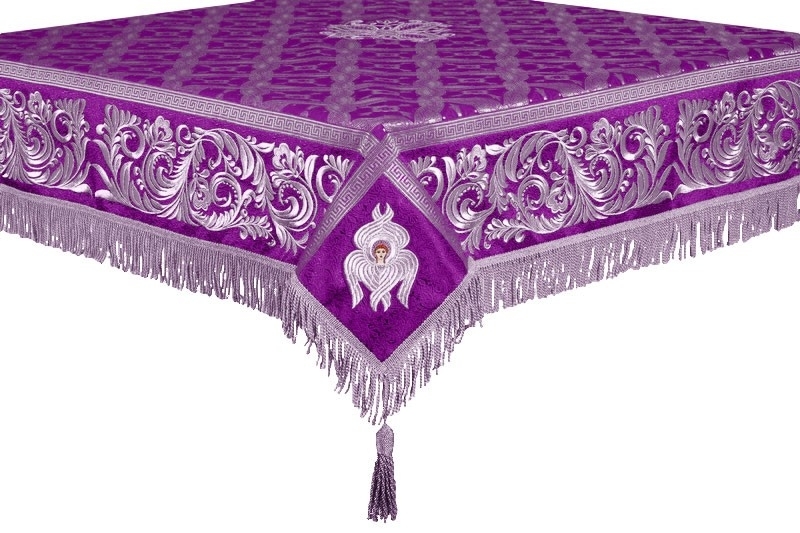 Now you can protect the surface of the Holy Table and make it a befitting representation of the Throne of Christ with one of our attractive violet-silver Holy Table covers. These covers are made from lush fabrics such as rayon brocade, metallic brocade, silk and embroidered material that are most suitable for ecclesiastical purposes. 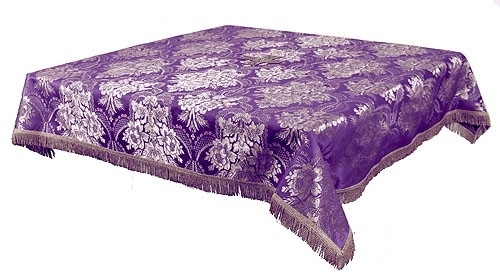 We procure our brocade materials from reliable suppliers and our experienced tailors create beautiful Holy Table covers with high quality workmanship. Each item features a unique silver pattern and customers can click on the product image to get a good close-up view. 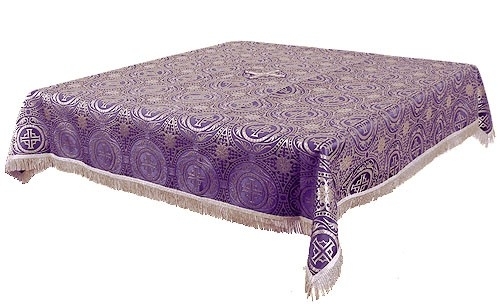 By default, each violet-silver Holy Table cover measures 55”x55” and features a cross in the center. 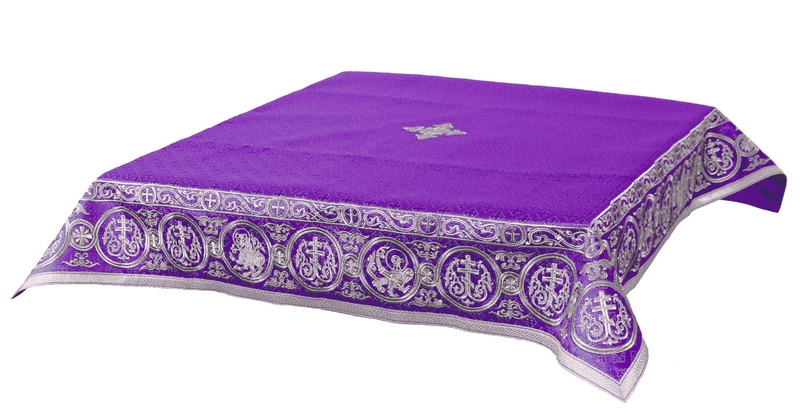 For covers made from rayon and metallic brocade, customers can choose from standard decoration which is provided free of cost or opt for premium decoration at an additional cost. Customers can also upgrade their order with a natural velvet inserts. 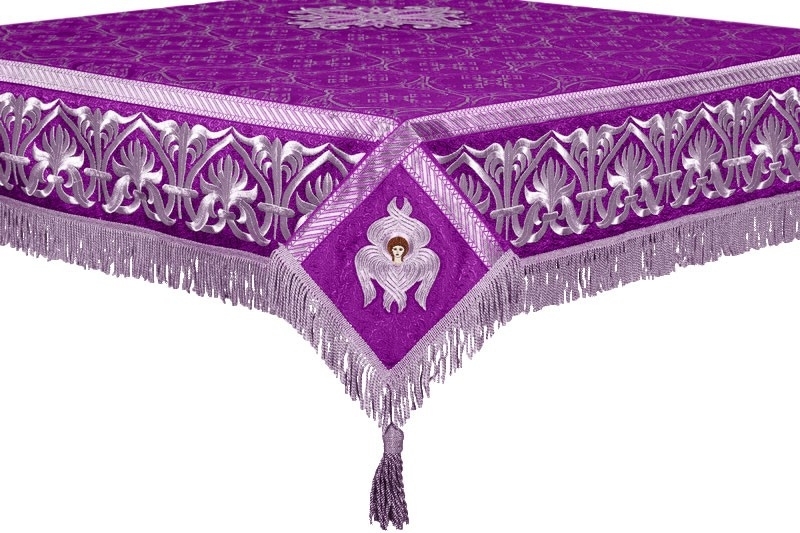 Our embroidered violet-silver Holy Table covers are exquisite and a testament to the talent and unwavering dedication of our embroiderers. 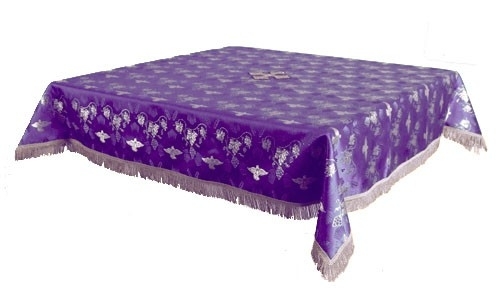 From covers featuring beautiful floral designs around the edges to covers featuring intricate Christian themes such as Balaam and Protection of the Theotokos, customers have a wide selection of embroidered Holy Table covers to choose from. 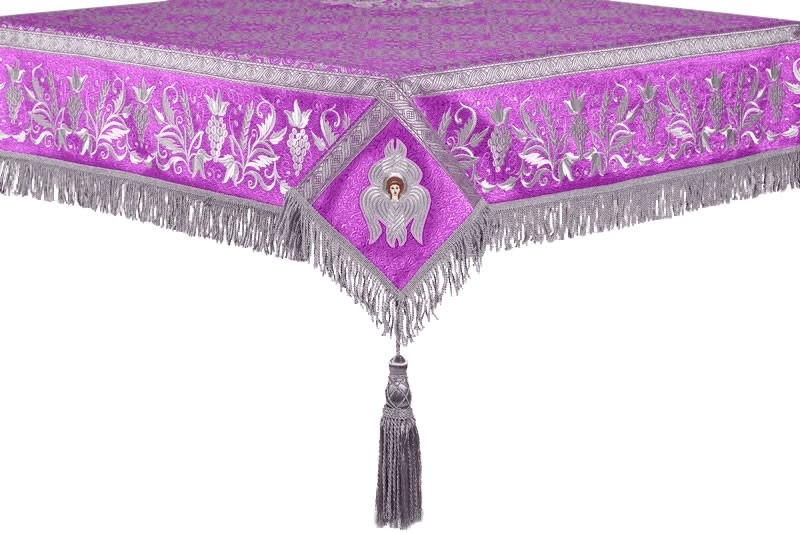 Embroidered Holy Table covers are decorated with trimmings and tassels which enhance their appearance and beauty. 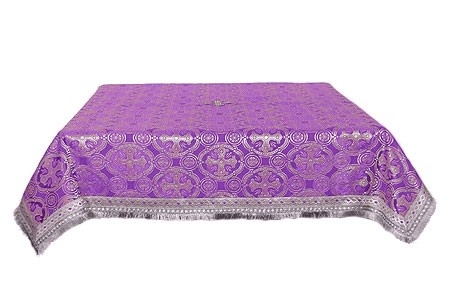 We cater to all budgets - you’ll find that the prices of our violet-silver Holy Table range from just around sixty dollars to over nine hundred dollars. These are quite reasonable when you compare them with current market prices. Place your order as soon as possible to take advantage of price savings!